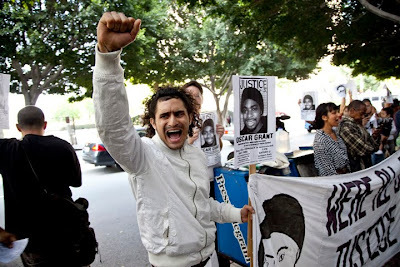 BART officer Johannes Mehsele was found guilty of involuntary manslaughter of an unarmed man, Oscar Grant. Mehsele reached for his service gun instead of his taser when he mistakenly shot Grant. A small but vocal group chanted "justice for Oscar" out front of the downtown L.A. courthouse when the court case was held. 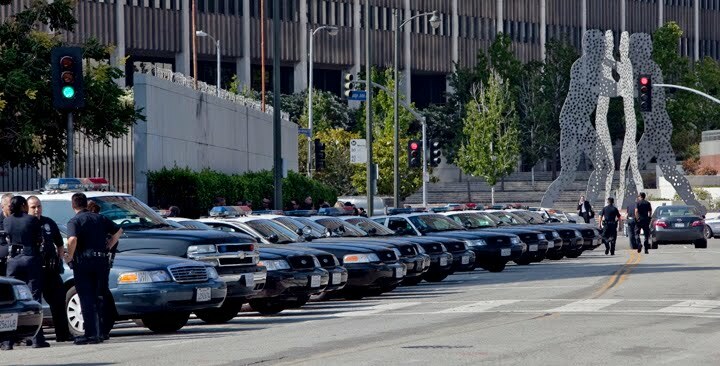 A massive group of L.A.P.D. officers stood ready for trouble behind the L.A.P.D. downtown headquarters.